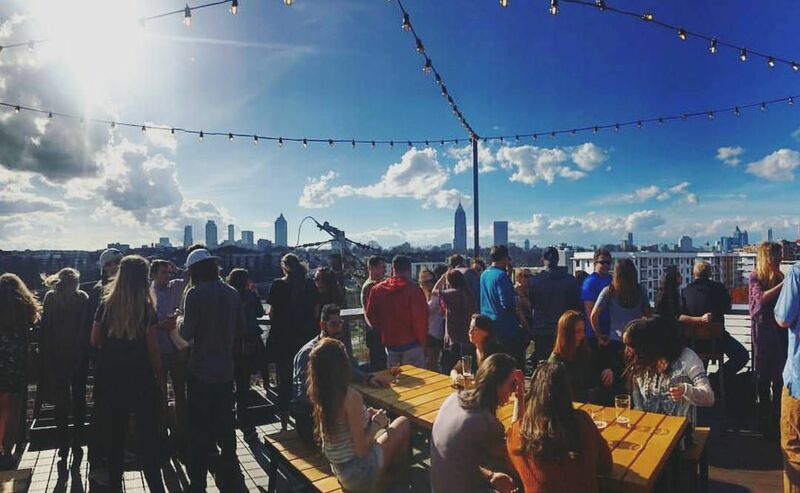 It’s officially patio season in Atlanta — the best season. Looking for somewhere to dine al fresco high above the city streets or amidst the trees? 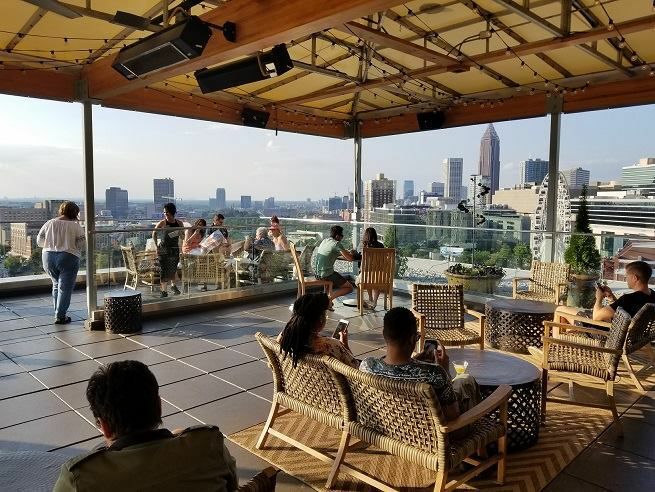 This list features a few of Atlanta’s rooftop patios and bars to consider for outdoor dining, while taking in some stellar views. 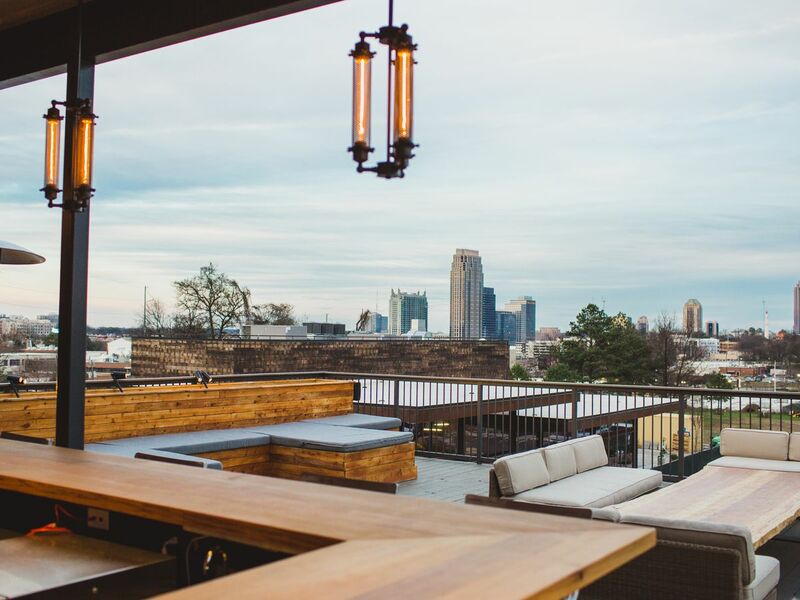 Don’t see a favorite rooftop patio on the list? Give it some love in the comments or via the tipline. 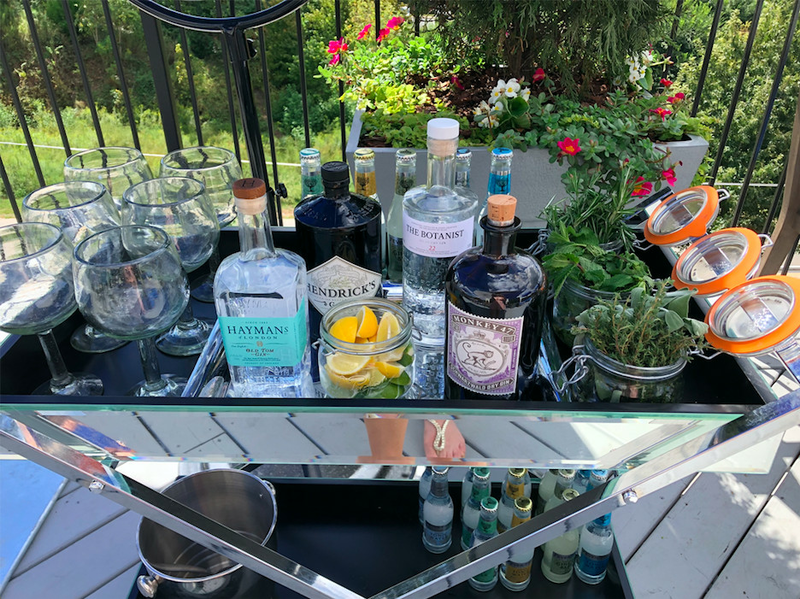 The W Hotel in Buckhead revamped the rooftop patio and bar Whiskey Blue last year. The bar includes a 66-foot mural from Atlanta artist Chris Veal, rows of leather sofas flanking the windows, and a violet backlit indoor bar. 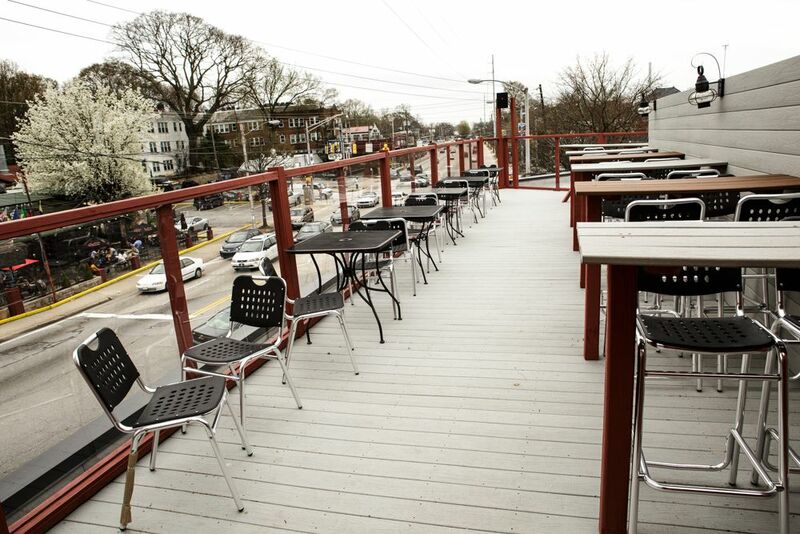 Out on the patio, there’s a full bar and a large seating area with views of the city skyline. This Buckhead restaurant serves Spanish fare with influences from India, Morocco, and Southeast Asia. There’s plenty of seating on the open-air patio, which includes an outdoor bar and live entertainment. 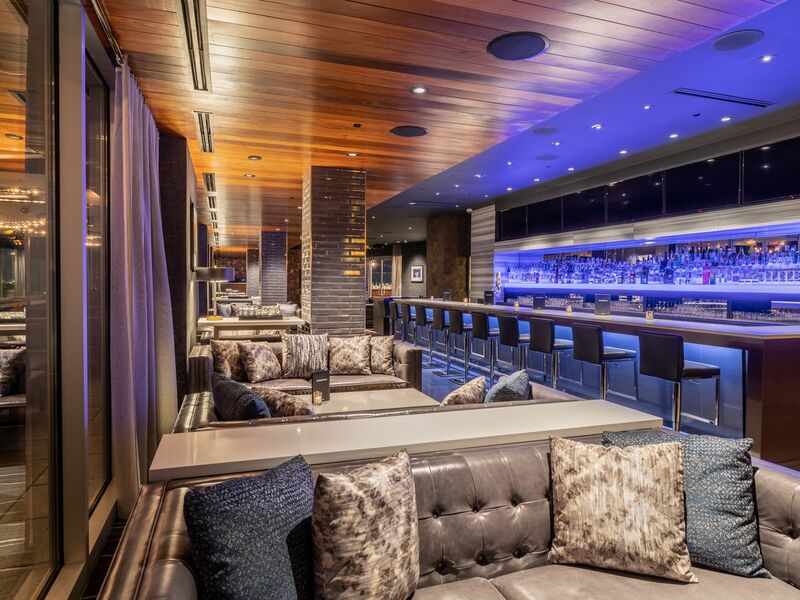 Located in the Buckhead Atlanta shopping district above American Cut, The Regent Cocktail Club offers classic cocktails, a DJ, weekly wine specials, and interior doors that slide open to a large outdoor patio. Tuk Tuk Thai Food Loft on the border of south Buckhead and Midtown might have one of the most amazing views of Atlanta’s city skyline; especially in the evenings. Located above and between the new AC Hotel and Moxy Hotel in midtown, High Note features not only a pool with cabanas but a bar with plenty of outdoor seating and fire pits to keep warm on chillier evenings. 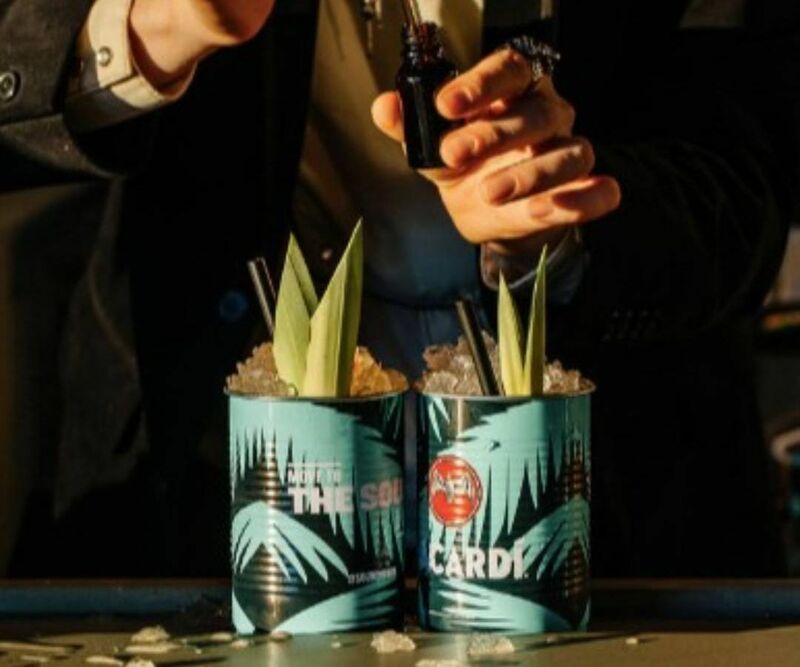 The menu here includes a kimchi dog, black eyed pea “hummus”, a fried chicken sandwich, and even tuna poke and Korean barbecue wings paired with a rum-heavy cocktail list. 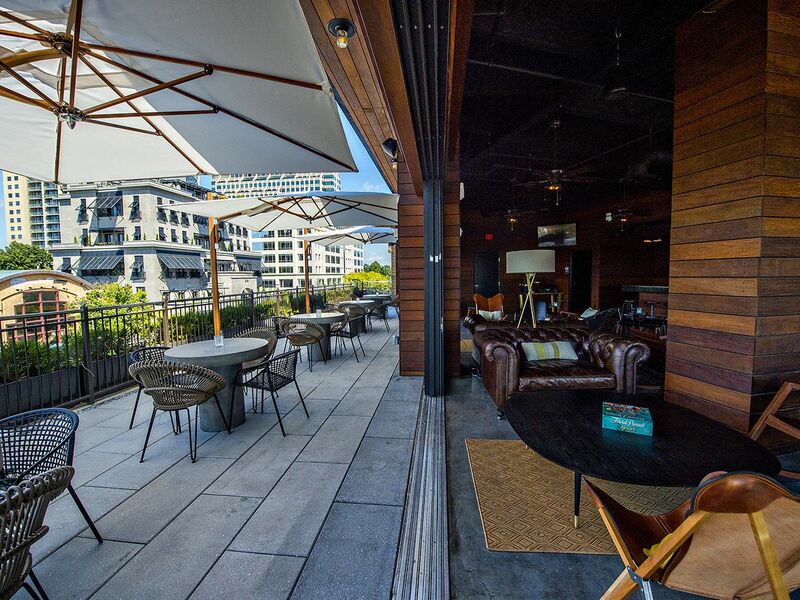 Located across from Barcelona Wine Bar-Westside in the Ironworks complex on Howell Mill Road, O-Ku features a roof top patio with unbeatable city skyline views and an al fresco sushi and cocktail menu to match. 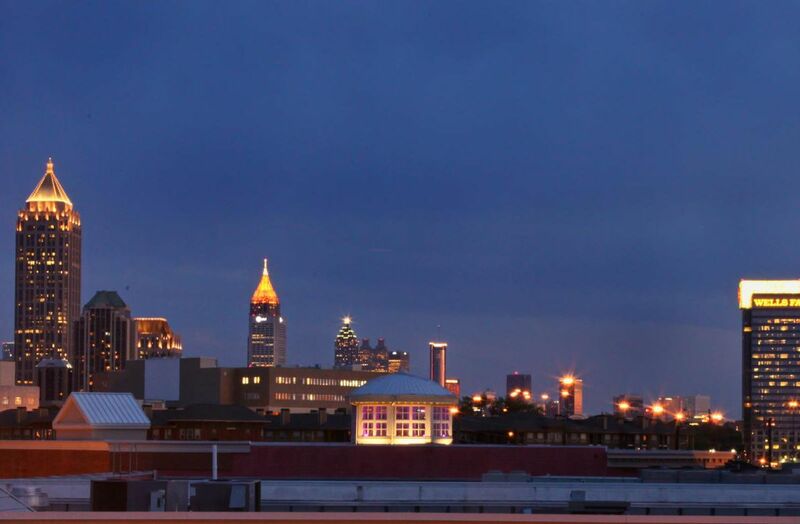 There may be no finer view of the city skyline than from atop the newly-opened Hotel Clermont on Ponce. The astro-turfed lawn bedecked with loungers and an outdoor bar serving frozen drinks and street food beneath the iconic neon sign is hard to beat. 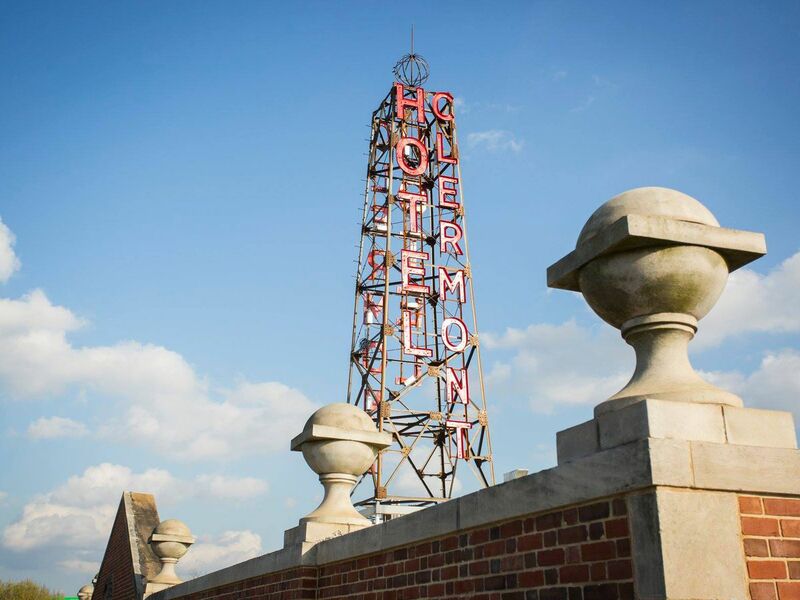 Guests of the hotel and neighborhood residents have preferred access to the rooftop. Diners at Tiny Lou’s or those simply wishing to head up for drinks on a warm evening must check in with the front desk. 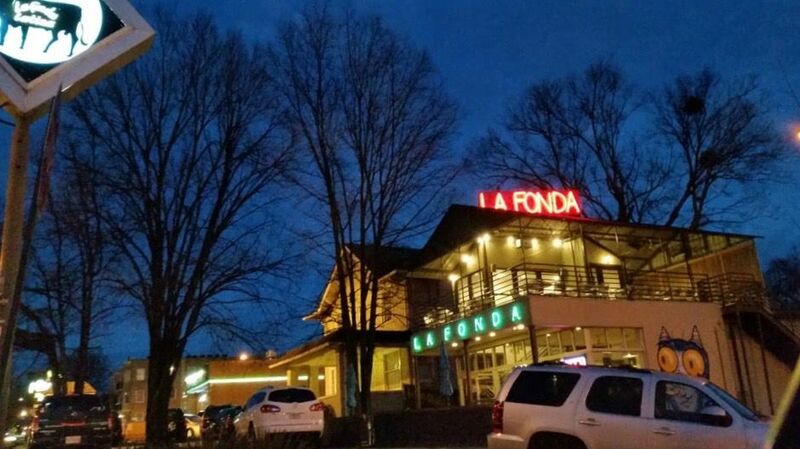 Open Sunday - Thursday, 4 p.m. to 12 a.m.; Friday and Saturday, 4 p.m. to 1 a.m.
La Fonda on Ponce De Leon and its second floor covered patio is rarely empty, even on cold days. Head here for paella, tacos, cheese dip, Cuban sandwiches, and sipping margaritas al fresco. 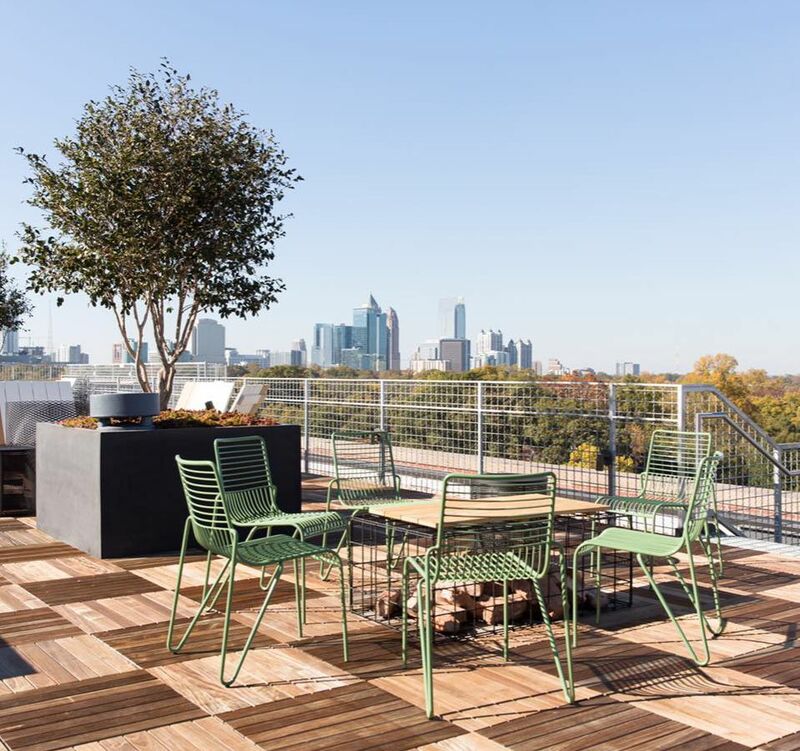 Atlanta’s largest outdoor patio with a view features carnival games, a three-story slide at Skyline Park and an elevated beer garden experience at Nine Mile Station. Admission to enter the roof is $10 per person and includes a wristband good for the entire day. 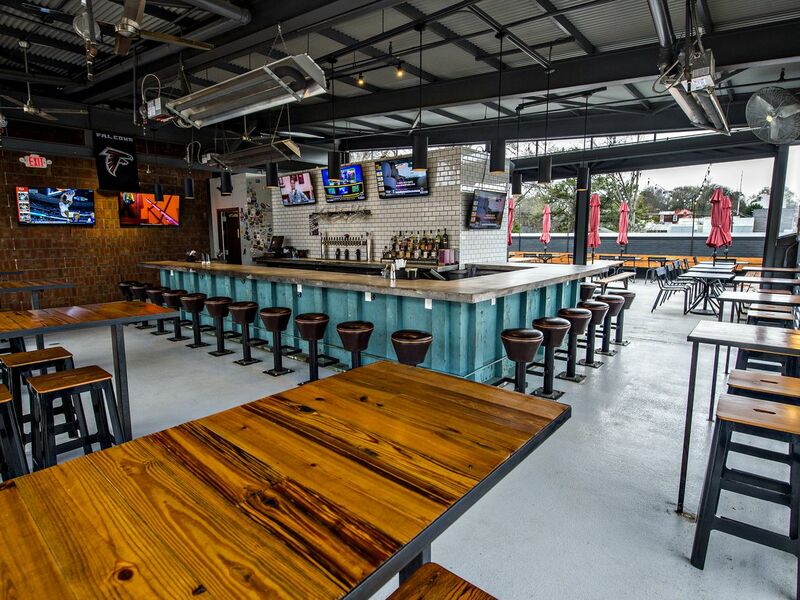 9 Mile’s sister RFD Social is now open for indoor drinking and games, too. 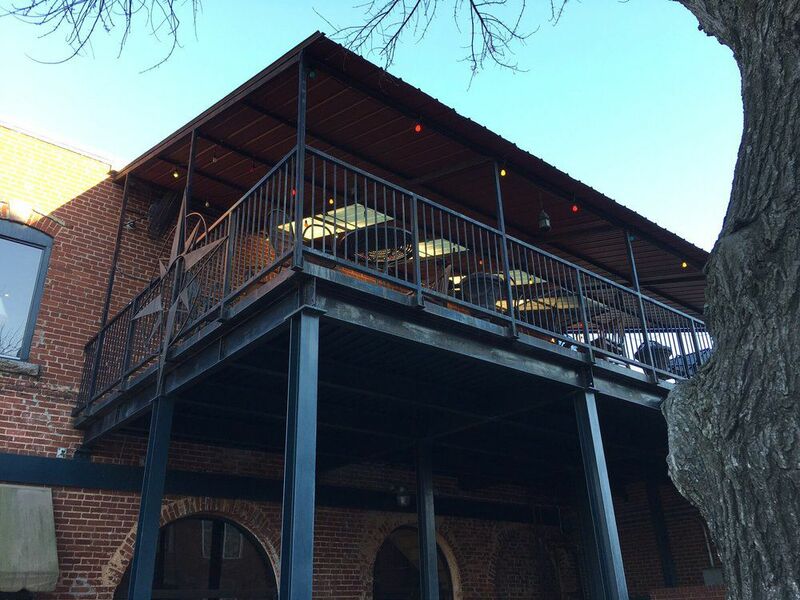 The Decatur outpost of Grindhouse Killer Burgers offers a rooftop sports bar and patio that’s 21 and up. Perfect for kid-free, al fresco dining with a boozy shake, burger, and fries. Atlanta’s newest brewery features a restaurant with a full bar, tasting room, tours, and a rooftop bar with views of Atlanta that rival those of Ponce City Market. The restaurant is first-come, first-served on the weekends. New Realm currently produces IPAs, lagers, and barrel-aged brews. This cocktail bar and lounge located on the rooftop of Bazati along the Eastside BeltLine trail channels Miami in its vibe. 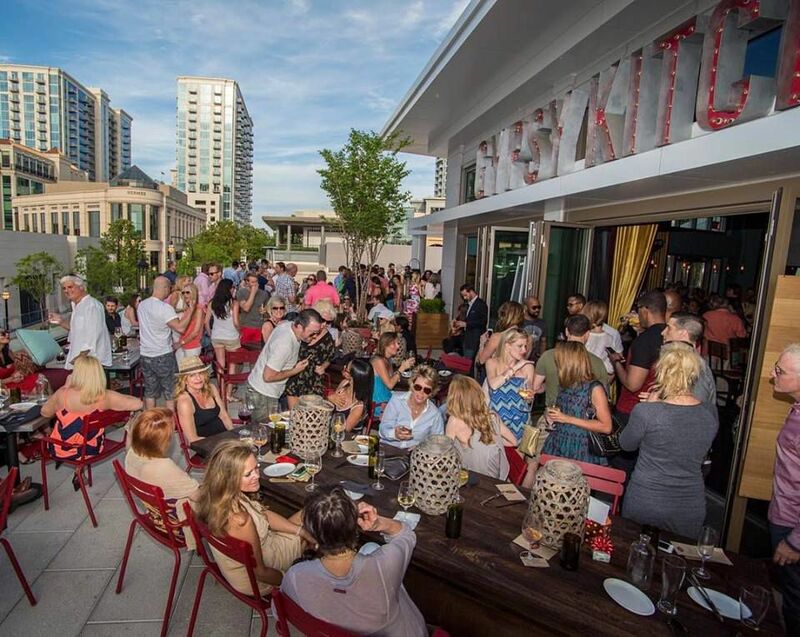 Estrella features a bright and airy indoor bar which opens an open-air bar overlooking the BeltLine and sweeping views of the city skyline. Head here for champagne and cocktails like the Hemingway daiquiri, pisco sour, and gin and tonic served table side and light and shareable small plates like ceviche, pulled pork spring rolls, and venison herb tacos. 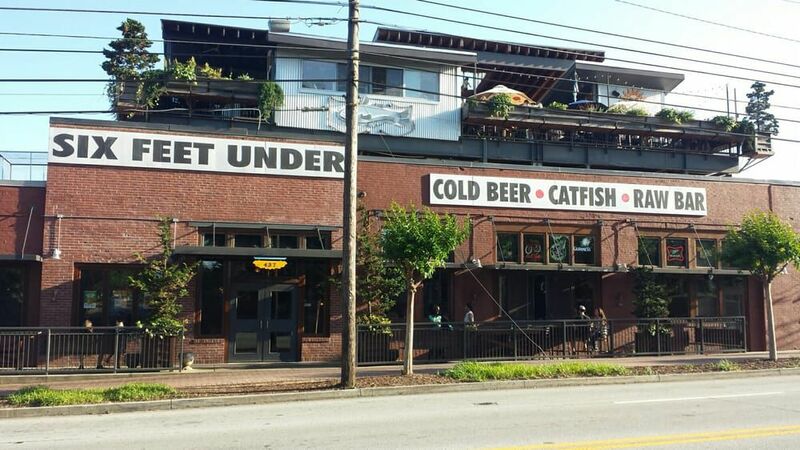 After a fire a threatened to shut it down, Corner Tavern in the heart of the weird and wonderful Little Five Points came back better than ever with a rooftop patio and the best people-watching in town. SkyLounge sits atop the Glenn Hotel on Marietta Street and offers cocktails and light bites as well as clear views of downtown landmarks like Centennial Olympic Park, the Westin Peachtree Plaza, the SkyView ferris wheel, CNN, and the horse-drawn carriages roaming the streets below. 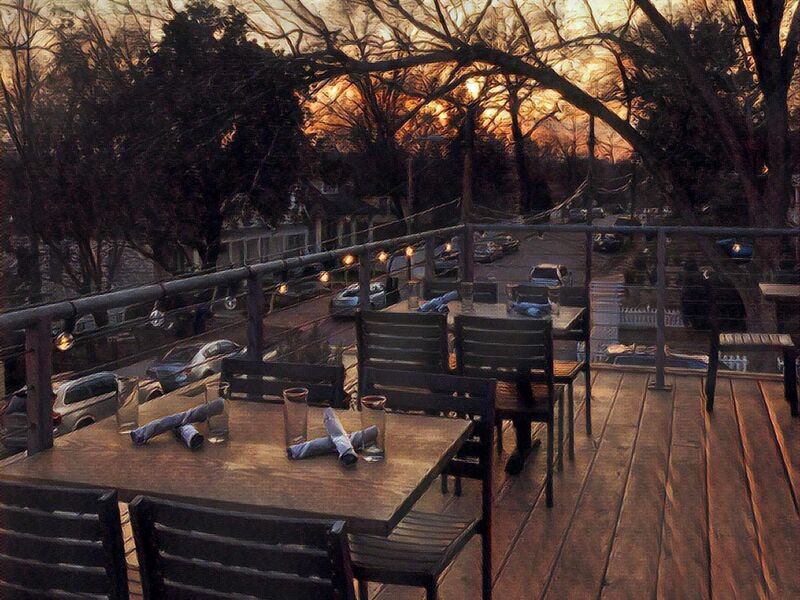 The seafood restaurant and pub Six Feet Under in Grant Park has a rooftop bar and patio which overlooks the historic Oakland Cemetery beyond it. The patio is a favorite spot for tourists and locals alike and is always full; especially on warm, sunny days. There may be a wait for a seat, but it’s worth it for the view. 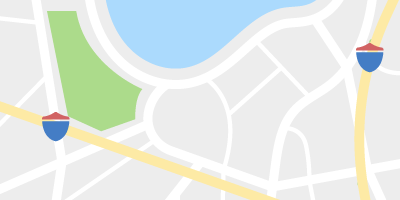 This Grant Park spot has a beautiful view of the park beyond it and is surrounded by lovely old trees. Mediterranea’s 100% gluten free dishes are packed with the flavors of the southern Mediterranean and the restaurant also offers a lengthy wine list to complement it all. A number of items on the lunch, brunch, and dinner menus are marked vegetarian or vegan. When the owners of the original Corner Tavern left to build a new Hapeville location across from the East Point MARTA station, regulars were worried. However, the beer selection and the food at Chairs in the old tavern building is still solid as is their second floor patio in the back. Make sure to grab a plate of wings from the outdoor smoker. 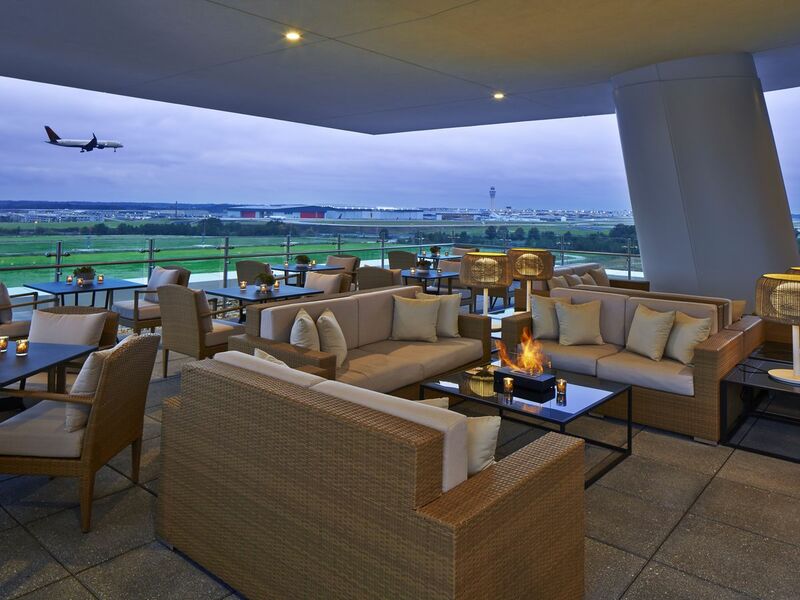 Solis Two Porsche Drive Hotel, 2 Porsche Dr.
With views of the Porsche Experience track below and planes landing at Hartsfield-Jackson International Airport beyond it, al fresco dining on the rooftop patio of the Kimpton Overland Hotel features classic cocktails like a fig-infused Manhattan and plates such as Sriracha pimento cheese beignets, pull pork banh mis, and short rib flatbread.